Preston travelled to the Borders to start the King Cup trail ,as they faced Peebles Rovers for the second time this year. 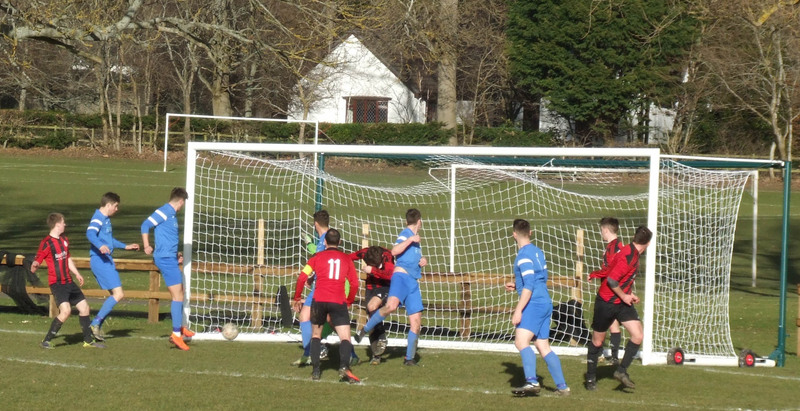 The opening 45 mins was a fiery one as Peebles’ Grigor Lamb came close to scoring twice for the home side but was subsequently taken off half way through the half with ligament damage to his knee which delayed the first half. Peebles got the only goal of the half when Dominic Niwendi was able to lob the ball over Sinclair Inglis in the visitors’ net to give the home team the lead on 35 mins. But they were reduced to 10 men when Colin Smith was red carded for a second yellow. Preston were awarded a penalty just before the end of the first half when Binnie was fouled, but he missed the spot kick, saved by McGinley so 1-0 to the home team at half time. The second half was so different to the first as Preston went on the front foot and hit a barrow load of goals. The equaliser came on 48 minutes when Greg Binnie pounced on a Jonny Grotlin shot to fire home, making up for the earlier penalty miss. Alexander Dimitrov got the second on 51 mins after good work by Jonny Grotlin and Michael McFarlane. 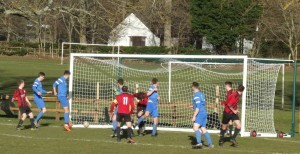 No 3 came on 53 minutes and it was Greg Binnie scoring as he got his second after being set up by Alex Dimitrov. Peebles were reduced to nine men as scorer Dominic Nwiendi was ordered off for a challenge on Scott Walker on 56 minutes. Preston pressed on and hit a fourth through Michael McFarlane who scored from close range. No 5 came from David Liddle who fired home from a Dimitrov pass. Marc Reid then made it 6-1 after Dimitrov set him up. No 7 was headed home by Ross Cowan from Dimitrov cross and Jack Jardine added the icing on the cake with the 8th goal on 85 mins. Preston:Inglis, Cowan, Walker, Liddle, Campbell, D Pennycuick, M McFarlane, Woodcock, Binnie, Grotlin and Dimitrov.